Consultants & Specialist Surveyors Ltd (CSS Asbestos Services) are a leading national asbestos surveying and consultancy practice. From our head office in Altham, Lancashire and a regional office in Derby, we are able to service clients throughout the UK using our regionally based team of highly qualified consultant surveyors. We carry out all types of asbestos surveys and provide our clients with industry leading user-friendly reports. Our highly qualified and experienced team are also able to take a consultancy or project management role in providing expert advice re the continuing management or removal of asbestos found on your property. Why do I need to know about asbestos in my property? Whoever has responsibility for the maintenance of a non-domestic property or its communal areas, i.e. owner, manager or tenant, is deemed the “Duty Holder” under the Control of Asbestos Regulations 2012 and is legally required to have an up to date asbestos management plan in place. If you are a domestic householder, you want peace of mind. 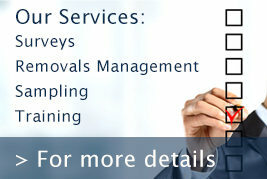 Why can I be confident in surveys provided by CSS Asbestos Services? Unlike many of our competitors, CSS Asbestos Services are subject to rigorous independent audits on an annual and unannounced basis. Commercial and domestic property owners, manager and tenants across the UK. 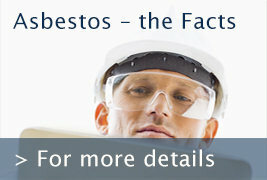 Asbestos is the single biggest occupational killer in the UK (c.5000 per year (HSE). Any building constructed before 1999 may contain asbestos. You can’t tell if a material contains asbestos simply by looking at it. If we identify asbestos is in your building is, we’ll identify it’s type and understand it’s condition. You can then choose to safely remove it or safely contain it knowing it won’t be disturbed. Materials identified as containing asbestos that are in good condition can usually be made safe and easily managed by property owners and managers.